As many of you know by now, here at ActivityBreaks.com we offer ticket and accommodation packages for Andrea Bocelli’s hometown concert held every summer at the Teatro del Silenzio in Lajatico, Tuscany. Sometimes these are performances of his own songs often accompanied by some famous special guests, other years he performs an opera. For those who have already booked or plan to attend we have put together a list of what to see and do in the area to make the most of your stay. 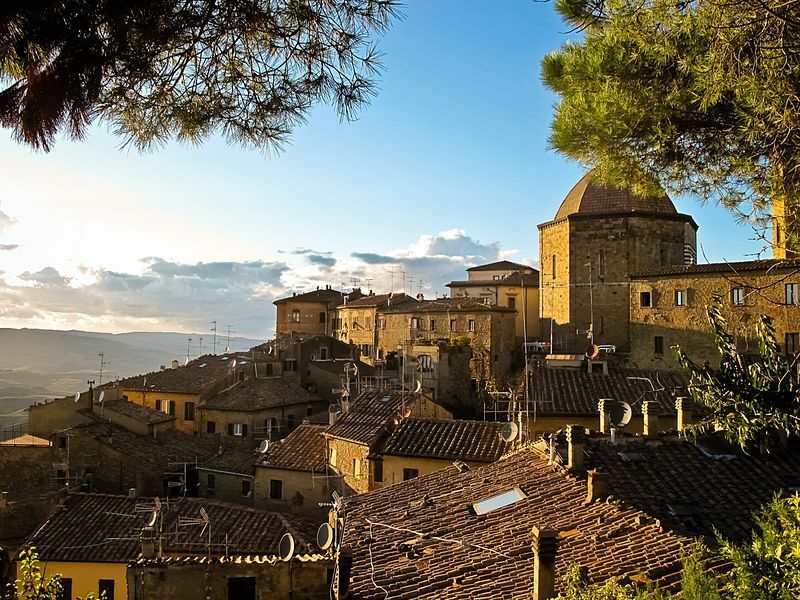 Many people attending the concert will be staying in the nearby town of Volterra, a characteristic walled town perched atop a Tuscan hillside. It is one of the less well known in the area when compared to more famous destinations like nearby San Gimignano, meaning it has a quieter, more relaxed air and there are fewer tourists. Fun fact: Volterra featured in the famous Twilight book series, home to the ‘Volturi’ a coven of powerful vampires, though the scenes from the film were shot over 100km away in Montepulciano. Piazza dei Priori and the Palazzo dei Priori In many ways the focal point of the town, you cannot avoid stopping off here while exploring the narrow winding streets of the centre, and they offer a real sense of the long and varied history of the town. The cathedral is just off the piazza and you should go inside just to see the spectacular ceiling. City wall The original structure was built when Volterra was an important Etruscan centre over 2,000 years ago and the imposing Porta dell’Arco gate still survives today, albeit a modified version dating back to medieval times. Those interested in Etruscan history might also like to visit the Etruscan acropolis and the Guarnacci Etruscan museum. The Roman theatre Dates back to the 1st century BC, and it, along with the forum and baths was rediscovered during excavations in the 1950s. The Medici Fortress Built on the highest point overlooking the town, this fortress was expanded by Lorenzo the magnificent after Florence seized control of Volterra in the 1470s. It is now used as a maximum-security prison so visits to the interior are very restricted! Local specialities After all this sightseeing why not enjoy a wine tasting in a local wine cellar in Volterra accompanied by local cured meats and cheeses. Contact us for more information. BRUNELLO DI MONTALCINO: Explore Montalcino and taste the world-famous wines. CHIANTI AND BRUNELLO: Enjoy a full-day tour of Tuscan villages and wine regions. Have you been before? Have we missed anything out? We love getting tips and feedback so let us know in the comments below!